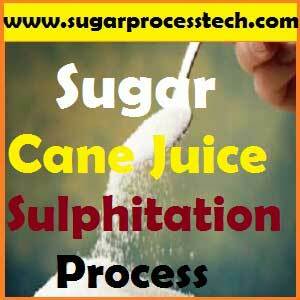 Juice Sulphitation is the process of purification of cane juice by employing lime and sulphur dioxide gas. 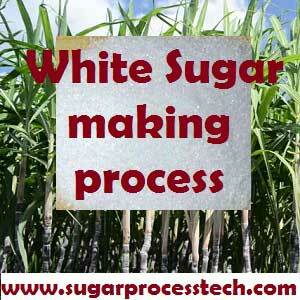 This process generally used for clarification of sugar cane juice in planitation white sugar manufacturing industry. The juice which is free of Bagacillo & weighed in the weighing tank of pH (5.2-5.3) is heated in the juice heater at 70oC to 75oC. This juice is subjected for continuous liming & sulphitation process to get sufficient removal of non- sugars and finally maintained neutral pH of 7.0 to 7.1. After the addition of lime and SO2 gas, the sulphited juice heated slightly above the boiling point i.e 102oC to 103oC and it is passed to juice clarifier through the flash tank for setting the mud. The inhibition of colour formation is reportedly (Vercellotti and Clarke, 1997; and Chen, 1971) brought about by the combination of the sulphite group with reducing sugars, thereby blocking the carbonyl function which is necessary for caramel and melanoidin formation. It is well-established (Getaz, 1989) that sulphitation will inhibit Maillard-type reactions, also by combining with carbonyl groups, although this reaction is reversible. In particular, sulphited carbonyls are prone to losing the sulphiter groups over time, as these compounds are slightly unstable. Hence, as the sulphite is released as sulphur dioxide, the colour may return, as has been found when milky white sugar from a sulphitation process is stored. Riffer (1988) states that sulphite ions react with unsaturated carbonyl groups and some flavonoids, which shifts the light absorption out of visible wavelengths. However, Vercellotti and Clarke (1997) explain further that these new compounds remain in the liquors and can later polymerize and undergo condensation reactions to form highly colored aromatics. Thus, although sulphitation is often erroneously regarded as a ‘reversible’ process, some colour is in fact destroyed but new colour is later formed from the breakdown products. There are also permanent effects of sulphitation (Chen, 1971), among them decomposition, modification or polymerization of colour compounds such as polyphenols, melanin, melanoidins and pigments. The solution of Ca (OH)2 will dissociate completely as. The pH of the lime solution is above 12.6 at 30 o C , when SO2 gas is passed liquid H2SO3 (Sulphurous acid) is formed. The sulphurous acid get dissociated at high initial pH into H+ & SO3— ions. Immediately the product of (Ca++) and ( SO3—) which exceed the solubility product of CaSO3 & more CaSO3 precipitate will result. Mean while the OH– ion from Ca (OH)2 molecule will react with H+ ions & with H2SO3 to form undissociated water molecule. With continues sulphitation further more & more CaSO3 will be precipitated. Resulting gradual decrease in the Ca++ ions the stage will come when the solubility product of Ca++ and so3-2 → solubility product of ( CaSO3) with minimum Ca++ ions remain in the solution. If we pass more SO2 gas than the pH will be on the acidic side, with decrease in pH dissociation of more & more HSO3 ions are possible. Then stage will come where system is try to maintain the balance of SO3— ion concentration as it is reduced by dissolving CaSO3 precipitated. There are different methods of addition of these two as given below. Pre sulphitation followed by liming and sulphitation. Shock liming followed by sulphitation. The pre liming of raw juice is conducted to pH of 6.8 – 7.2. It is done in separate tank in order to have the retention time of maximum 2 mins . During this period the lime reacts with phosphate available in the juice to form precipitate of Ca3(Po4)2 which absorbs lot of coloring impurities. This process helps in increasing the mud density. In the second stage the pH of the juice is raised up to 9.5 to 10.0. The juice kept on this pH only 10 to 12 sec. And sulphur dioxide is added and maintained at 7.0 to 7.1 pH. This method is useful in case of stale cane or burnt cane or during high mud level period. In this process the 70o C heated raw juice comes in contact with SO2 Gas & pH is brought down from 5.2 to 4.2 to 3.8 ,then it is again increase to 7.5-8.0 by liming. The lime juice pH is further reduced to the neutral pH that is 6.9-7.0 by SO2 gas. The draw back of this process is that the juice remain in acidic main for 3-4 min which cases sucrose inversion. The advantage of the method pre sulphitation of juice leads to better settling characteristics of mud in the case of immature cane. Destruction of reducing sugars can be minimized or eliminated. In this process the lime is introduced just the entry of raw juice in the juice sulphitation tank & then it is immediately neutralize by SO2 Gas to get the pH 7.0. Simultaneous liming and sulphitation system is basically emerged to avoid disadvantages of both presulphitation as well as pre liming system. The simultaneous liming and sulphitation system of can juice clarification is more similar to presulphitation system. The only difference is in pre sulphitation the presulphitation time is maintained is about 3 to 4 minutes but in simultaneous liming and sulphitation . The presulphitation time is just few second. During whole reaction the pH of juice main tend below 8.0 pH and in most of cases below 7.5 pH . Due to this juice is not subjected to high alkalinity and this result in minimum destruction of reducing sugar. but at the colloids and other impurities are not fully precipitated out as the driving force the resultant clear juice obtained by simultaneous liming and sulphitation reaction always contains high turbidity generally more 20% . Advantages: Better terminal settling velocity as well as lower mud volume, minimum Cao rise from mixed juice to clear juice. Better clarity of clear juice than the previous methods. Lime and SO2 gas may directly come in contact before precipitation of impurities and get neutralized. This increases unnecessary lime and sulphur consumption. The clear juice quality obtained by this method is very poor in respect of color than the shock liming. This indicates the lower impurities are precipitated and which resulted in low removal coloring impurities. The juice heated upto 70oC to 75oC then the pH of the raw juice is suddenly raised to a level of 9.2 to 9.5 only for few sec ( 8 –10 sec) and followed neutralized with sulphur dioxide the final pH is maintained at 7.0 to 7.2 . Slightly lower terminal settling velocity as compared to simultaneous liming. But the final mud volume obtained by shock liming was almost comparable to simultaneous liming system. The clarity of clear juice is very high and color of clear juice is superior as compared to simultaneous liming. The main advantage of this method is operator can be correctly judge the ratio of MOL and SO2 gas by the checking of shock lime pH and final sulphited juice pH. So finally it will give better efficiency in reaction vessel. Considering all these aspects the shock liming system was found superior over all other methods of lime applications. Higher the shock liming time, higher the destruction of reducing sugars from the juice which may result more coloring matter in juice and may tend to poor sugar quality. Sugar cane juice is susceptible to wide variations of pH , temperature and time in the manual operation. In automatic operation will certainly pay rich dividends by maintaining the above parameters with in permissible limits. Automation will be quite supporting to a well designed juice sulphitation unit. To achieve better results , it is advisable to have the following juice flow stabilization and pH control system. Juice flow stabilization is the first and fore most need for under taking the automation in the processing of sugar manufacture. No pH variation ,if it is work successfully and efficiently then there is no need for any automation in the subsequent stations viz up to evaporation. No variations in sulphitation process. Floc formation , floc settling is efficient. The main objectives at the clarification station are to increase the pH of juice to a level at which the losses of sucrose by inversion are kept to a minimum and maximum removal of insoluble and soluble undesirable substances. The on line measurement of pH is very essential to meet the above objectives. The measurement of pH has been in practice since long. The laboratory measurements are very simple and easy to maintain. The juice sulphitation process pH control in juice sulphitor consists of following methods. Single loop control : This means final pH control . According to final pH lime dosing is varied. Double loop control : Here shock pH & final pH control is the two loop control. On comparing the practical results of sulphitation with those of ordinary defecation, the following advantages and disadvantages may be noted. The juice settles more rapidly (hence improved capacity of subsiders). The massecuites are less viscous and boil faster. Marked improvement in colour of the sugar. Savings in time in clarification and boiling. Slight gain in capacity of centrifugals. Better elimination of phosphates and waxes (Douwes Dekker7), leading to better refining quality and filterability of the sugar produced. The major draw back of the system is higher sulphited ash content of the sugar obtained. The SO2 content in the final product having approximately 30 to 70ppm. 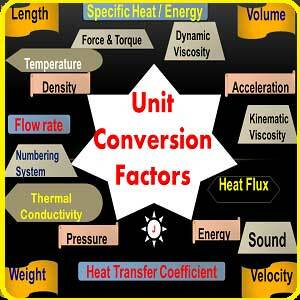 Due to acidity of the SO2 gas the corrosion of equipment having in higher side. The lime dosing required for injection water to maintained the pH. 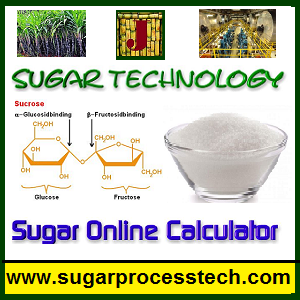 Phosphoric Acid(H3PO4) in sugar process industry and online calculator to find required dosing quantity in kgs and also find present going condition in PPM. Sir, I want to know that can we substitute single carbonation process in place of the sulphitation process used today. Is there any new research going on to replace so2 gas by co2 keeping all the process same and what is the ‘Clarification Efficiency’ of carbonation process wrt to sulphitation process. I know earlier we used double carbonation process but we discarded that. So is there any new development regading this to replace sulphur because it is harmful. Will be happy if u reply at my mail also. ICUMSA of clear juice and syrup depending upon the juice quality and clarification process like defecation or sulphitation. Generally in sulphitation process having clear juice in the range of 8000IU to 12000IU and its syrup will be increased upto 10 to 15%. Generally in defecation process having clear juice in the range of 14000IU to 18000IU and its syrup will be increased upto 10 to 15%. Sir, finally we need the conclusion, that is, Is dubble sulphatation in Sugar process is good or not recommend for human consuming of Sugar.? We have constructed trayless SRT clarrifier for sulphitation white cane sugar mill. We tried the parameter of liming PH, Temperature and SO2 as in 4 tray clarrifier. We use continuous vacuum mud filter also.But the clear juice is not so clear with a little bagasilo as in 4 tray. Please advice me.